This was a fun project to do. 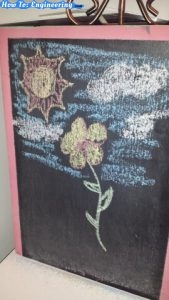 A black chalkboard like in elementary days. Is fun to have a place to jot down quick notes. Not only can you use a small surface but anything that can stand chalk paint, making it as big or small as you wish. -piece of wood, or a spot on the wall to paint on. 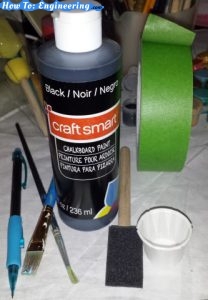 This are the instruction to follow for the chalkboard paint. Simple and easy. 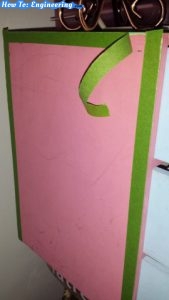 This is the side of one of those wooden drawer craft boxes sold at a famous furniture do it your self store. 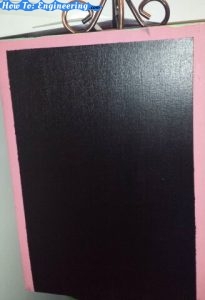 Start by marking off edges where the black paint will stay off. The wooden box was previously painted and wanted to keep the edges pink. Mask off the edges and make sure it sticks to the surface. Shake the bottle and pour the paint. 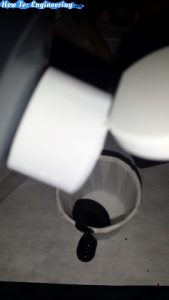 Be careful to not miss as you see, taking pictures while pouring, is complicated. 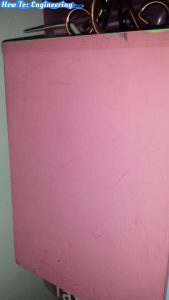 This is the first coat of paint as you see the pink background color is still visible. Also remember to paint horizontally. 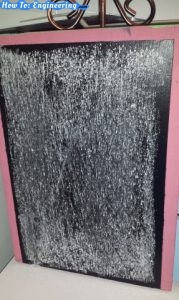 Here is the chalkboard with the second coat of paint and a vertical stroke. 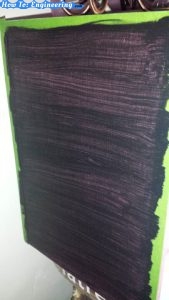 Wait for the paint to dry before removing tape and it should look like this image. 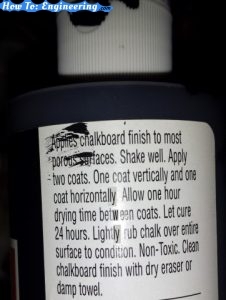 Now that the paint is completely dry, use chalk to condition the paint. Now erase the chalk off as much as you can. 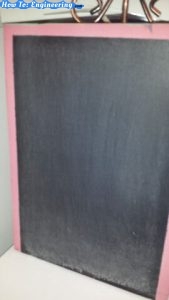 Finally you are ready to write and decorate your chalkboard!